Sterling, VA (March 23, 2015) . . . Gammaflux L.P., the world’s leading supplier of hot runner temperature control systems, will introduce two new options for its G24 hot runner temperature control systems product line at NPE 2015. Both options are designed to help increase productivity and profitability for injection molders. Sterling, VA USA (October 16, 2013) . . . GF Controls, the world’s leading supplier of hot runner temperature control systems, will launch three new products in its G24 Temperature Controller product line at K 2013. All of these products are designed to help injection molders save money and increase their bottom line. Sterling, VA (April 2, 2012) . . . Gammaflux L.P., the world’s leading supplier of hot runner temperature control systems, will launch an all-new product line at NPE 2012 – the G24 Temperature Controller. Sterling, VA (October 5, 2011) . 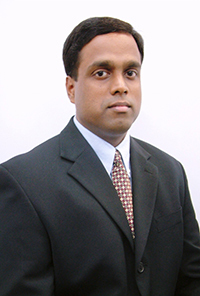 . . Gammaflux L.P., the worlds leading supplier of hot runner temperature control systems, has announced two new top management appointments. Sterling, VA (October 15, 2009) . . . Gammaflux L.P., the world’s leading supplier of hot runner temperature control systems, has introduced several software enhancements to its line of TTC hot runner temperature controllers. These improvements help molders more easily identify problems, thereby reducing hot runner system downtime and improving productivity. Sterling, VA (March 18, 2009) . . . Gammaflux L.P., the world’s leading supplier of hot runner temperature control systems, has introduced a new line of products specifically designed for sequential valve gate hot runner applications. Sterling, VA (February 24, 2009) . . . Gammaflux L.P., the world’s leading supplier of hot runner temperature control systems, has announced that Jeff Colman has been named President and CEO of the company, effective immediately. 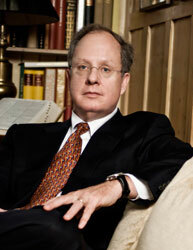 He replaces David Huntting, who has been named Chairman of the company. Sterling, VA and Germantown, WI (October 10, 2008). . . Gammaflux LP and MGS Mfg. Group, Inc. have announced that they have reached an agreement whereby MGS will offer Gammaflux hot runner temperature control on all of its Universal Multishot Systems portable injection units. Sterling, VA and Peabody, MA (December 7, 2007). 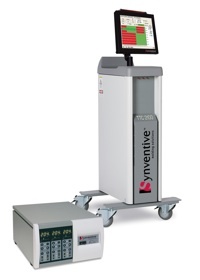 . . Gammaflux LP and Synventive Molding Solutions have announced that they have reached a private label manufacturing agreement whereby Gammaflux will supply its LEC and TTC hot runner temperature control systems to Synventive. The agreement began December 5, which corresponded with the opening date of the Euromold exhibition in Frankfurt. Sterling, VA (October 24, 2007)... At K 2007 in Dusseldorf, Germany, Gammaflux will introduce a new process control system that combines the best of its hot runner temperature control technology with the PRIAMUS Fill & Cool system. 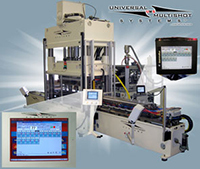 The result is an integrated package that helps molders achieve balanced fill in their multi-cavity hot runner molds. Sterling, VA (October 1, 2007)... Gammaflux LP, the world's leading supplier of hot runner temperature control systems, has announced a new 5-year warranty program on its LEC and TTC product lines. The new warranty began on September 1, 2007 for all LEC and TTC models sold after that date. 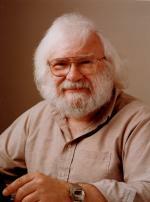 Sterling, VA (June 19, 2006) . . .Gammaflux LP has announced it has introduced a new, enhanced control algorithm especially designed for tight control of small, low-mass hot runner nozzles. Sterling, VA (April 3, 2006) . . . Gammaflux L.P., the world’s leading supplier of hot runner temperature control systems, has added the ability to adjust setpoint temperatures in 1/10 degree increments. 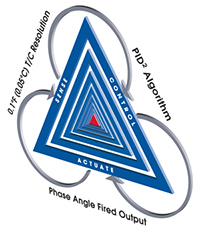 This further increases molders’ ability to control their hot runner process and is especially helpful in high-precision molding applications. Sterling, VA (January 16, 2006) . 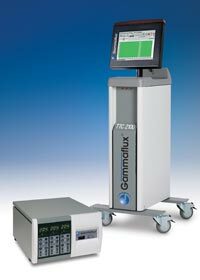 . . Gammaflux L.P., the world’s leading supplier of hot runner temperature control systems, has introduced mold identification capabilities to its high-end line of TTC hot runner temperature control systems. 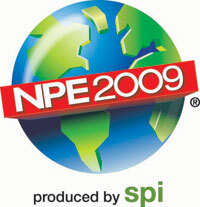 This new product feature will be displayed for the first time at NPE in Chicago, June 19-23, 2006. Sterling, VA (November 30, 2005) . . . Gammaflux L.P., the world’s leading supplier of hot runner temperature control systems, has expanded its LEC line of temperature controllers with the introduction of a new LEC 2-zone model. The 2-zone LEC is the ideal solution for providing precision control to small hot runners such as single-cavity molds and hot sprue bushing applications. Sterling, VA (March 22, 2005) . . . Gammaflux L.P., the world’s leading supplier of hot runner temperature control systems, has expanded its operations in Asia by opening a new office in Singapore. Sterling, VA (January 25, 2005) . . . To keep up with the plastics industry’s increased use of the Internet as an informational and ordering tool, Gammaflux LP has upgraded its website. A key new feature that can be found on www.gammaflux.com include an online configurator that allows real-time quoting and ordering of the company’s new line of LEC hot runner temperature control systems. Sterling, VA (October 20, 2004) . . . Gammaflux will display its newest line of hot runner temperature controllers at K 2004 in Dusseldorf, Germany, October 20-27 (Hall 10, Stand H48). The new LEC line of temperature controllers provide molders with full-featured hot runner temperature control at an extremely competitive price. Sterling, VA (January 6, 2003) . . . Gammaflux L.P. has introduced a new, low-cost hot runner temperature controller for up to 6 zones of control. 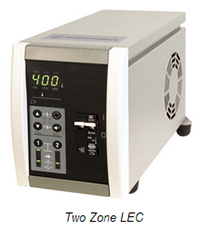 The GLC2k non-expandable controller provides molders with an attractive option for purchasing Gammaflux-quality temperature control, with savings of up to 20% over the highly-popular Gammaflux GLC hot runner temperature control system. Sterling, VA (November 14, 2002) . 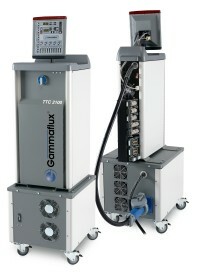 . . Gammaflux L.P. has introduced a new operator panel for its TTC family of hot runner temperature control systems. 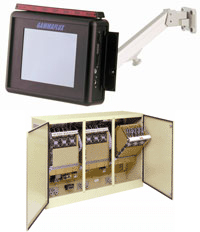 The new TTC International Interface provides a full-featured yet substantially lower cost option for hot runner users that want an alternative to the original TTC Touchscreen Interface, Windows NT Operating System. Sterling, VA (October 29, 2001) . . . Gammaflux L.P. is proud to introduce its new TTC family of hot runner temperature control systems, shown for the first time at the K-2001 show in Dusseldorf, Germany, October 25 - November 1. Sterling, VA (September 11, 2001) . . . Gammaflux L.P. has expanded its presence in Asia by hiring a new sales representative firm for China. Sterling, VA (August 30, 2001) . . . Gammaflux L.P. will introduce an entire new line of hot runner temperature control systems at the K '01 show in Dusseldorf, Germany, October 25 - November 1. Sterling, VA (March 1, 2001) . 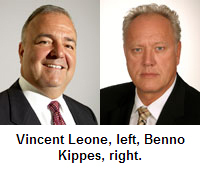 . . Gammaflux L.P. has recently promoted Vince Leone and Mike Brostedt to new sales and marketing positions within the company. Sterling, VA (June 19, 2000) . 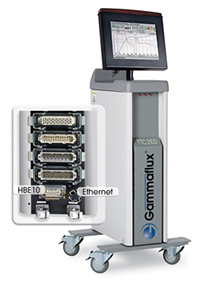 . . Gammaflux L.P. will introduce software enhancements to both its 9500 Series and GLC 2k hot runner temperature control systems at NPE 2000 in Chicago, June 19-23. Sterling, VA (June 19, 2000) . 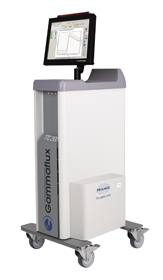 . . Gammaflux L.P. has announced the opening of a direct sales/service office in Ube, Japan. The company has hired Vic Chudoba to work out of the new office, from which he will direct service and support of Gammaflux customers throughout the Far East. Sterling, Va. (November 1, 1999) . . . A new hot runner temperature control system from Gammaflux saves molders floor space by allowing them to mount the system on the injection molding machine. Sterling, Va. (June 15, 1999) . 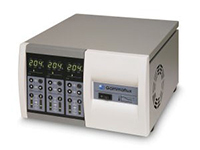 . . Gammaflux will introduce its new Multi-Tier GLC 2K Hot Runner Temperature Controller at Plastics Fair Chicago, June 15-17, 1999. Sterling, Va. (January 12, 1999) . 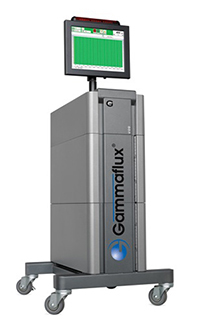 . . Gammaflux L.P. has introduced new software enhancements to its state-of-the-art 9500 Series hot runner temperature control system. GAMMAFLUX TO INTRODUCE NEW LINE OF HOT RUNNER TEMPERATURE CONTROL SYSTEMS AT K '98. 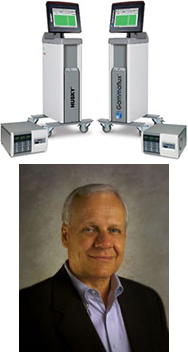 Sterling, VA (June 16, 1998) Gammaflux L.P. has announced that it will introduce a new line of hot runner system temperature control systems at the K '98 show in Dusseldorf, Germany, October 22-29. 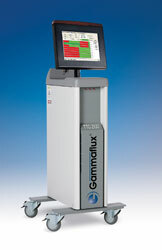 GAMMAFLUX MOLD DOCTOR HOT RUNNER SOFTWARE UTILIZED BY LEADING AUTOMOTIVE TOOLMAKER FOR QUALITY CONTROL BEFORE SHIPMENT. Sterling, VA (May 12, 1998) . 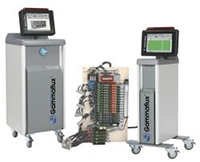 . . Tycos Tool of Concord, ON, a division of Conix Canada and one of the plastics industry’s largest moldmakers, is using Gammaflux hot runner temperature controllers with Mold Doctor™ software to diagnose tool performance before shipment. 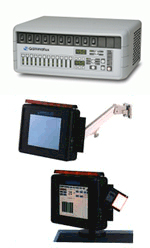 NEW GAMMAFLUX MINI-PANEL PROVIDES SCREEN-BASED CONTROLLER FEATURES FOR MODULAR HOT RUNNER CONTROL SYSTEM. Sterling, VA (March 5, 1998) Users of the Gammaflux Series 9000 Modular Hot Runner Temperature Control Systems now have an exciting new option. The Gammaflux Mini-Panel, a new plug-in module, provides the Series 9000 system with complete communications capabilities normally found only on screen-based temperature control systems. Gammaflux will feature this product at its booth at Plast-Ex Ã«98 in Toronto, May 12-14. Sterling, VA (February 24, 1998) Gammaflux L.P. offers the following information on its hot runner temperature control system software for diagnosing mold and hot runner problems.